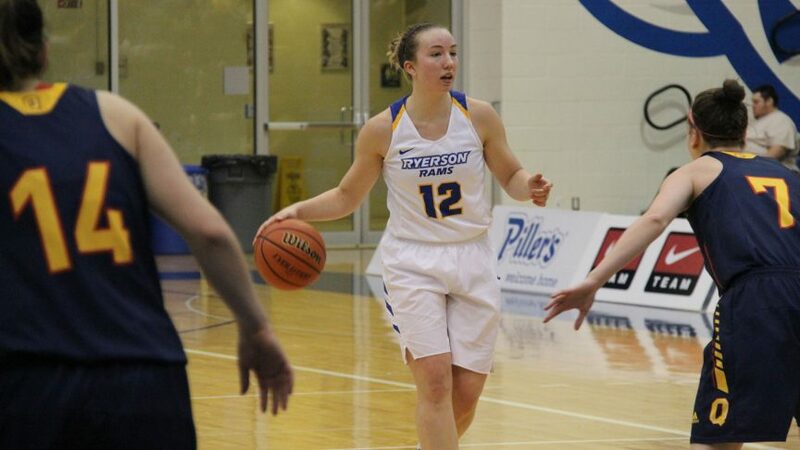 Ryerson’s women’s basketball team fell just short of completing a 15-point comeback against the undefeated Queen’s Gaels on Friday night, losing 60-59 at the Mattamy Athletic Centre. Entering the fourth quarter down 47-32, the Rams responded with a 16-2 run to start the final frame. They managed to tie the score at 56 with 1:38 left in the game, but they couldn’t pull off the upset in the final stretch. Trailing by one, the Rams had a chance to win the game off an inbounded ball with three seconds left, but Devenae Bryce missed an open look at the rim. Sofia Paska had a double-double, leading her team with 13 points and a game-high 12 rebounds, but it wasn’t enough to topple the league’s best team. After an overtime loss at Queen’s in January, the Rams have now lost both of their regular season matchups against the Gaels, who hold a perfect 15-0 record and lead the OUA East. The Rams, second in the division, drop to 12-4 with three games remaining, giving them more losses than they’ve had in either of their last two seasons. Even though the Rams have already secured a playoff seed, the first three quarters of their game against the Gaels showed that they have some flaws that need to be addressed. Ryerson didn’t take care of the basketball, giving up a total of 16 turnovers and 18 second chance points, mainly due to their inability to control the glass on both ends of the floor. The Gaels did a good job of imposing their size and length against the Rams, limiting Paska to only 13 points—well off her season average of 18.4. Paska wasn’t the only player that struggled to find her rhythm in the offensive end, as Queen’s had the Rams shooting 22 per cent from the field before the start of the fourth quarter. 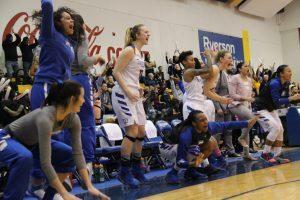 Ryerson was able to flip the switch in the final 10 minutes, shooting an incredible 66.7 per cent from the field, but it wasn’t enough to stop a Gaels team led by Emily Hazlett and Robyn Pearson, who combined for 28 points. UP NEXT: The Rams host their crosstown rivals, the University of Toronto Varsity Blues, in their final home game of the regular season on Feb. 10. Tip-off is set for 6 p.m.